Great to hear you guys again! 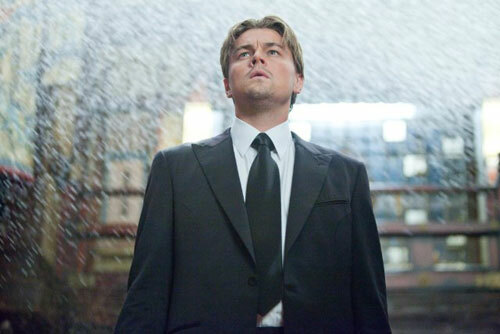 I haven't seen "Inception," but your critique about it focusing on "the wrong questions" (intricacies of the plot) rather than the deeper life relevancies it alludes to is a nice articulation of my problem with all of the Christopher Nolan films I've seen. They seem so coldly immersed on the mechanics of what they're saying that they almost seem to forget what they wanted to say in the first place, creating very vague, even contradictory messages. Ebert is quoting Robert Warshow. Oh yes, Robert Warshow. Thanks, Doug. I have his collection of essays, The Immediate Experience, and like it quite a bit, but I never seem to remember that he's the "guy in the theatre" guy. Btw, full props to Rob for the hilarious mashup of Inception and Toy Story 3 trailers in that early audio clip. Made me laugh out loud. And, Rob, you'll be happy to know I've already listened to the whole podcast. It sometimes takes me weeks to get around to it, but not this time! Glad to hear another good podcast, J Robert. I second Doug's comment.